Outdoor fun can be so therapeutic for your family. But, if you have children on the autism spectrum, you may be concerned about providing a safe, accessible environment for backyard play. 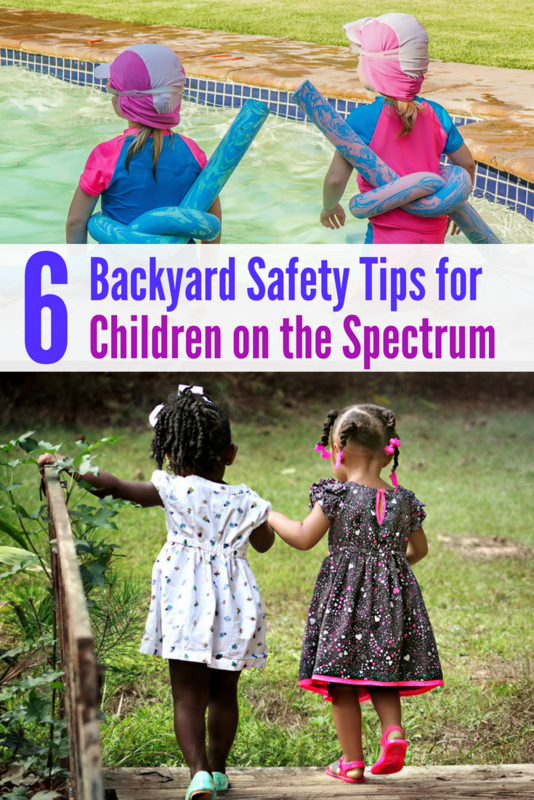 The good news is, you don’t need to make a ton of adjustments to keep your yard secure and enjoyable for children on the spectrum. If your yard is overgrown, you could be putting your family at risk. High grass can hide tripping hazards and be an unwelcome experience for kids who have sensory issues. Unruly tree branches can easily fall or get blown off in storms, causing serious injury to anyone standing near them. Use quality garden gloves to protect your hands from harm and get your yard back in shape again. Trim back grass and plants so they’re not uncomfortable for little hands and legs. Get rid of any dead tree branches and be sure adventurous little ones can’t easily climb up into branches. After you’ve tidied up, consider starting a garden together. Gardens have shown to be very therapeutic places for children on the spectrum, and it also encourages communication and focus. Make it a sensory garden with plenty of sights and smells, and add sound with gravel. The garden can also serve as a safe haven for your child to retreat to when they are feeling overwhelmed or overstimulated. When your child has sensory issues, a bug bite can cause them quite a bit of discomfort. Some children may even be uncomfortable with the feeling of bugs on their skin, even when they’re harmless. Use natural, effective pest control to keep children and pets safe from chemical dangers. You may even be able to combine ingredients from your kitchen to keep insects out of your yard. Just be sure you’re not damaging beneficial bugs. You can even use these bugs to teach children about the ecosystem. If bug spray isn’t an option, whether due to a personal preference or the fact that your child simply doesn’t like, look for other natural repellants to keep them protected such as bug wipes, essential oils and citronella-candles like these. If you follow the tip above and plant a garden, add mosquito-repelling plants like citronella grass, rosemary, catnip, and marigolds. If you don’t have a fence now, you should really think about getting one. Fences provide protection for your home while ensuring your children will be secure when playing outside. If you have children with special needs, keeping them from wandering can be a major concern. Make sure whatever fence you build is tall enough to provide safety and privacy. Consider using latches on gates that require a combination or key, so that people cannot easily wander in and out. Think about putting a bell on your gate, so you’ll be aware when someone opens it. Be sure your neighbours have met your child and know what he or she looks like so that they can be a second pair of eyes. If your child will allow it, use an ID bracelet with your contact information or attach it to a belt loop. Having a pool in your backyard is a great way to keep kids on the spectrum cool during the warmer months. With a pool, however, also comes a few more safety issues. Children with autism are drawn to water and can fall in without you knowing. Think about installing an alarm like this one that will let you know when someone has entered the water. It wouldn’t hurt to have a gate with a lock installed either to protect children and pets. Keep a safety ring and flotation devices nearby. If your child does fall in and swallow water, seek medical attention immediately, even if they seem fine after. Secondary drowning is a serious threat that all parents need to know about. For added safety, make sure your child knows how to swim. Many YMCAs offer swim lessons for children with special needs. Ask that one of the lessons be with clothes on, as this could be a scenario should your child wander off and fall in. Keep your children protected from sun and heat. Use umbrellas or shades to cover play areas. Keep a filled water bottle near your children at all times and make sure they’re drinking enough to stay hydrated. Lastly, make them take some indoor breaks from time to time and be aware of the signs of heat exhaustion and stroke, especially in children who cannot verbally express discomfort. If you notice signs of distress such as excessive sweating, dizziness, fatigue, rapid breathing, nausea, or vomiting, it’s time to head indoors. 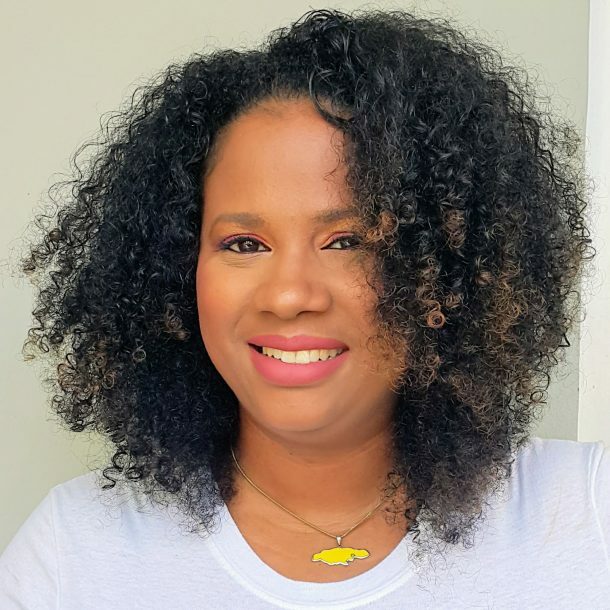 In addition to drinking plenty of water, remove tight clothing, slowly cool the body with water mist, place ice packs on the groin and armpits, and seek the advice of a medical professional. 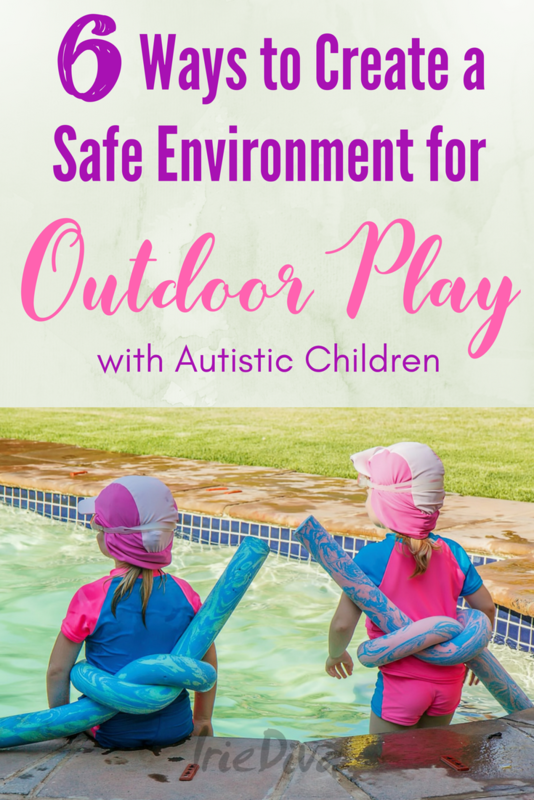 Autism can make it difficult for children to enjoy traditional backyard play, so try putting together some activities that will be therapeutic and fun for them to enjoy outside. Get them outside to explore nature in their own backyard, perhaps safely in a trampoline or slowly introduce them to the pool. Invest in a playset like this one to encourage movement via swings, slides, ladders, and rock walls. Some playsets come with fun add-ons such as a tic-tac-toe board, telescope, or megaphone. galoshes and encourage your kids to get outside anyhow. Rain is a wonderful sensory experience for children on the spectrum. If the weather doesn’t permit, create a sensory cave with blankets, pillows, and flashlights. Chances are you’ll have just as much fun building a cool fort as your child will. safe, secure and accessible for all your outdoor family fun.